A native of Southern New Mexico, Jim played professionally in Las Vegas, Nevada from 1976-1986 accompanying such names as Tony Bennett, Frank Sinatra, Wayne Newton, Joan Rivers, and Tom Jones. In addition, he was a trombonist for the Las Vegas Symphony as well as the New World Brass Quintet, with whom he toured from 1980-1986. 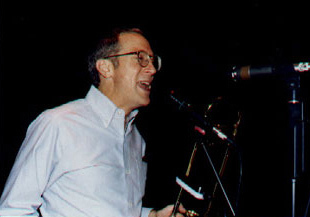 In New Mexico, Jim has been a member of Salsa Suite and the Salsa Maria Orchestra.